If overcoming bulimia is really important to you then what better way to change your focus from your overeating disorder and put it instead on something empowering and positive like being happy! If you’re a fan of Oprah and her magazine and website like me, then I think you’ll enjoy reading this. I read a great article from her newsletter called “5 Things Happy People Do”. I thought I’d share the ideas and elaborate on them with a bulimia recovery perspective. The basis of the 5 Ways to Be Happy came about after they searched through tons of articles/books on the subject of happiness. This list is what they found most happy people have in common. 1. They find their most golden self. The central concept of eudaimonia is the knowing and realizing of one’s most golden self, or “personal growth,” as we would call it today. Living in this way often includes continually taking on new challenges and fulfilling one’s sense of purpose in life. Living a purpose-driven life, as the popular book would say. 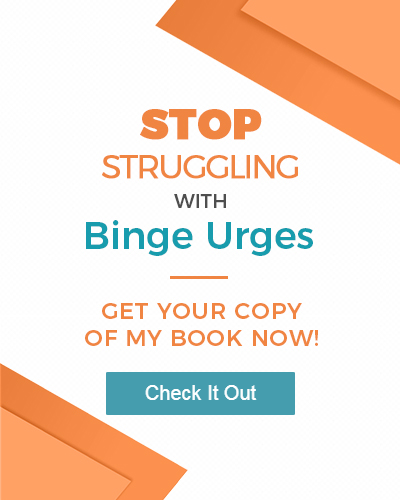 I have enjoyed my time of relaxation and nothing-doing in my life, but there is definitely a different joy factor I feel when I’m doing fulfilling work (like writing here on my bulimia blog!). 2. They design their lives to bring in joy. When I quit my high-paying job in 2001 to go back to grad school and move to San Luis Obispo I said it was because I didn’t only want a great career – I wanted a great life. Living in the San Francisco bay area at the time of the booming tech sector was thrilling and I had a good job, but my joy and fulfillment factor was near zero. I came to realize that I spent hours and hours every week waiting in line. I waited in line at the grocery store, at the ATM, to make a left turn, to eat at a restaurant. I found that I was spending my life waiting to live my life. After I looked at how I was living and my happiness level I decided I needed to redesign my life. My life redesign meant moving out of the hustle and bustle of a big city and to somewhere I could take comfort in nature and experience my life instead of waiting for it to happen. I now live in the happiest city in the United States. You don’t have to pack up and move like I did to have bulimia recovery and be happier. But you do have to step back and look at what you’re doing that’s not making you happy and find ways to do less of that and more of the things that do make you happy. It’s your life – you get to choose how you live it. You’ll be even happier when you do it on purpose than by accident or without intention. My deciding to move to a new city was the happiest decision I ever made. 3. They avoid “if only” fantasies. Happy people don’t allow themselves to think weak, dis-empowering thoughts. If only I could have a better job…lose the weight…then life will be perfect. There’s new research that shows we’re surprisingly bad at predicting what will make us happy. When we’re overcoming bulimia we have a way of focusing on the one area of our life that isn’t great. It’s called the focusing illusion. When we instead shine the light on the things that are going well in our life we see more of what’s going well in our life. I think that also has to do with the law of attraction factor. That which you focus upon expands. The more you think about and focus on what you like, the more you’ll get to like in your life. 4. They put best friends first. We tend to be happier when we’re with other people. Healthy social interaction is great for our physical well being because our bodies produce the happiness chemical serotonin. There is new research that shows that we’re actually happier when we spend quality time with a close friend rather than dashing around chatting with friendly acquaintances. It’s as easy as going for a hike with our girlfriends, going to the movies or just hanging out. I think that’s where social media like Facebook will eventually leave us unfulfilled if that’s our only means of interaction. So, be sure to have some best girlfriend time regularly. 5. They allow themselves to be happy. Sounds pretty simple, right? All you need to do is allow yourself to be happy. Yet, deep seeded beliefs like, “I’m not good enough” can keep us from actually allowing ourselves to be happy. It doesn’t matter where the belief comes from, we need to recognize that we’re doing it and keeping ourselves from having fun. You need to see having fun as something you deserve instead of feeling guilty for doing it. As I’m writing this I am looking out the window and it’s a sunny, beautiful day where I live. While I have enjoyed writing this for you, I’m reminded by the last one that it’s time to put this aside and go get outside – my favorite way to get happy. I hope you explore where you’re maybe keeping yourself from overcoming bulimia with any of these ideas and then take action to boost your happy meter this week. Please share on my bulimia blog your comments below. I love hearing your feedback! I am attempting recovery from bulimia after 15 yrs of living a double life. I never thought I could write that and am ashamed I have been in this quagmire for SO long…..but today’s a new day. I have a great mum and supportive husband it’s just my embarrassment and strong exterior that has kept me in the bulimic frenzy. Plus holding down a very demanding, long hours job has left me with no time to just stop, let go and start focussing on recovery. Now however, I am nearly 5 months pregnant and am starting to worry about my baby and my health so I am wanting to quit my job, move back to my home town and spend the rest of my pregnancy looking after myself. This means dropping money and giving up some comforts which I think I can handle, but I also want my husband to change jobs to one less demanding as well, for obviously less money. A hard thing to do but not unachievable. Now to cut to my point. I loved reading your Oprah extract about eudaimonia – never knew there was a word for that, but that is EXACTLY what I’m chasing right now, and I know my husband does too but he’s torn about how this will work financially. I have faith it can, I just want my husband to embrace this so we can start a new eudaimonia-ian life together and he can help me in my recovery journey too. I’ve never blogged in my whole life, (scared of putting myself out there) but seeing as you said you had not had anyone contact you for a little bit then I figured I’d be writing to a real person! Thanks for helping me overcome my anxiety about opening up! Great to hear from you and thanks for sharing that this resonated with you – me too! I’m honored to hear from you and thanks so much for opening up about what you’re going through. Pregnancy, change of job, money concerns. I can relate to how the worry about a life with less money can cause you to have concern. I encourage you to practice positive affirmations and visioning around what you’re being guided to from your inner wisdom. I can sense you’re feeling your intuition calling you and it knows what’s best for you. I’m excited to hear that you’re willing to take all steps that you can to ensure your well being both during and after pregnancy. I lived in a mobile home when I was in my graduate studies because money was lean and I can tell you those were some of my happiest of days. The joy and happiness of taking good care of yourself will pay many dividends – for you, your husband and your new baby. I would love to hear an update if you can remember me and stop by to say hello and let us know how you’re doing. My name is Kourtney and I’m a recovering bulimic of 10 years. I can’t begin to explain how comforting it makes me feel to read others comments about how they got through this addiction and still surviving. I’m currently engaged, to marry in August, where I will be officially a step mom to a four year old girl. These changes (though they seem to be every women’s dream come true) have made me turn back to throwing up as an out. Kamryn is four and in her prime, “mommy/daddy phase”. Hearing her only wanting her mommy or daddy makes me feel like I’m not good enough. I know that I am but the shame and disappointment that bulimia has brought me and continues to haunt me with makes happy moments become tragic ones. I do continue to struggle with the fight and I look forward to websites such as these to keep me moving forward. Wonderful to hear your story – thank you for sharing and opening up. Shining a light on the shame you feel helps deflate the energy it brings (and releases it from holding it up inside our bodies). Please, keep sharing how you’re feeling. Whether it’s here, with loved ones, a counselor or a close confidante. Just keep feeling your feelings, remembering to turn towards what makes you feel better in each moment and be loving towards your self. I wish you all the best in your new role as wife and mother and let me know if there’s anything I can do to support you.